Competitive Strategy Versus Operations Excellence: Is There Really A Difference In Today’s World? I toyed with titling this article “What is the real value of doing competitive strategy work over and above the work done in Operations Excellence?”, but that is too long. However, this is the real topic of my article. I’ve had a recent client engagement in 2017 that has made even me pause to ponder this very important question. “Is there a value add of doing strategy work period and certainly in addition to the work done in Operations Excellence (OE hereafter)?” A derivative question is “why should a firm spend some of its valuable time and energy to do strategy work in the first place?” After all, in today’s world of lightning-fast change and disruption, plus only being able to secure temporary competitive advantages, as we are told, can’t OE tackle all of this? I don’t believe OE can subsume the work of good strategy, but this relatively recent engagement has forced me to rethink and recommit to the value proposition of doing competitive strategy work if the first place, much less alongside OE work which could subsume it. Readers of this series of articles know how much I respect the work of Dr. Michael Porter, the world’s most famous professor of competitive strategy of the Harvard Business School. 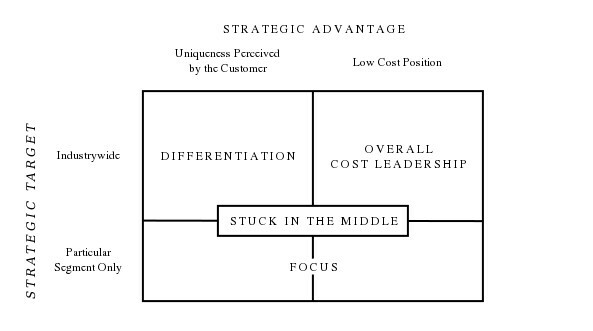 His important 1996 Harvard Business Review article titled “What is Strategy?” clearly distinguished competitive strategy work from the crucially important work of OE. And of course he thinks strategy work is valuable for any for-profit firm. Since his article in 1996 I have taken these assertions for granted. But not now, I have to up my game to be able to clearly explain the value of competitive strategy work and to show that while OE is critical, it is insufficient in guaranteeing the prosperity of a firm into the future, much less surviving and growing the market value of the firm. These things are thought of as being in the purview of strategy work. And as a reminder, growing a for-profit firm’s valuation is the overarching theme of this entire series of articles. 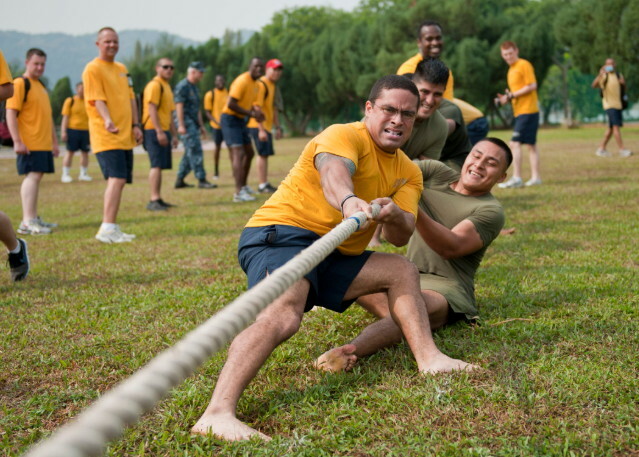 Here is what spurred me while working with this recent client: if the value of doing strategy work over and above the work of OE is not clearly and forcefully articulated, powerful OE professionals will gravitate to their daily fire-fighting modes and eventually ignore the strategy work altogether. We all know and love the firefighters in a firm and we need them. They love daily problems and most times would rather attend to issues like dealing with an irate customer due to a late delivery, battling a plant fire (this happened during one of my assignments), dealing with a glitch in the invoice system, driving a manufacturing process changeover to completion, on-boarding new hires into operations, etc. This is the tip of the iceberg of the firefighting that goes on in OE work. Listen to what is talked about in the halls of most firms and it is usually not “we need to have 30% of any year’s revenue come from brand new products and services”. This is the stuff of strategy (and innovation) work and this work usually falls to the top management team and an extended group in an organization enlisted to help with the strategy work. OE should always be included in this group. But these OE members in today’s world will deservedly demand a provable value proposition for them to allocate some of their time, talents and energy away from the main work for which they are accountable. Note someone might say “why doesn’t the CEO just command people to participate?”. We know the answer to that. Good CEOs know the danger of demanding working on things that do not have a clear value proposition. OE’s mission is to make what a firm currently has and does more efficient, productive and speedy with high quality. And we love them for this singular focus. The stereotypical head of operations is the grizzled executive who rigorously guards his or her ability to get costs per unit sold to be the lowest they can be given the firm’s chosen method of competition, either the Low Cost Provider (LCP) or the Differentiator methods. In 1985, Dr. Porter published his second landmark book titled Competitive Advantage. There he introduced the notion of the firm’s Value Chain. This is the set of Activities from Inbound Logistics to After Sales Customer Service and everything in between that creates value for the customer. A key takeaway is that the configuration and importance of the Activities in the Value Chain will be different for the LCP relative to the Differentiator. For example, LCPs use a lot of automation, value supply chain and logistics, and the manufacturing or transformation process. They also manage overhead expenses tightly. These aspects are important to Differentiators but not to the degree they are for the LCPs. The rallying cry for the Differentiator is how to optimize the value to customers by configuring the Activities to offer as many layered aspects of customer value as the customer needs and wants. If done well and for real customer “jobs to be done”, “pain points”, “mission-critical aspects”, or for products with associated services where the “fit and finish” needs to be best-in-class, customers are willing to pay a premium price for these tailored and layered aspects of customer value. 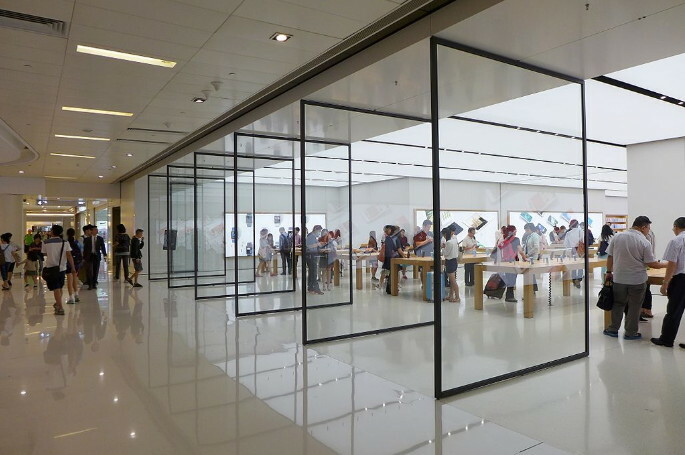 Think of all of the layered and tailored “touch points” of value that customers can avail themselves of when they walk into an Apple store. A given customer may not value and use all of the touch points available to them, but they are there configured into Apple’s value chain. The hope is a customer will want to eventually value and use all or most of the touch points. So why can’t OE deliver on this entire premium priced value for the Differentiator and all of the productivity, efficiency, speed and quality for the LCP by itself, without the use of separate strategy work? Before we answer this question, let’s create the scenario of a firm first adding competitive strategy work on top of all the other work going on, especially OE work. In this scenario we are assuming the firm is not in a do or die turnaround situation where the sense of urgency to do something else is paramount. Thus we assume the firm is largely healthy and relatively successful. The CEO announces the firm will produce its first strategic plan. It assembles a representative group of people in the firm to learn and do this work. First of all, the tools, frameworks and the few laws of competitive strategy will be new and may seem odd to this group of people. After perhaps an exciting strategic planning retreat to kick this work off, this group comes to realize that this will be hard and possibly time-consuming work that will take them away from the here and now and what is on their current plate. Competitive strategy work is planned around the day-to-day work of the firm and is in essence part-time work for the firm who does not yet have a small staff group to do most of the heavy lifting in strategy work. Resistance can crop in, as members of the team may not see how a particular strategy work-step will aid them and most importantly aid the firm. The leadership by the CEO and his/her outside resource, if one is used, is paramount in providing the continual “value story” for the strategy work. And so this work proceeds for three or four months as the strategic plan is being architected. For ninety-nine percent of firms, OE work cannot subsume the work of competitive strategy. The reason is not that OE does not have the gumption to do competitive strategy work. Some of the most brilliant strategic thinkers I have gotten to know in client firms are in operations. My position rests simply on how much time is involved to get these two aspects of work done. OE has its plate full and their incentive compensation is almost always tied to metrics that cover costs, productivity, efficiency and speed around what the firm currently has or is doing. Their sixty-hour weeks are consumed by their OE work alone. And we want them to focus here. So follow the money in and around working sixty-hour weeks. This role simply does not have the time, energy and accountability to subsume all that is involved with good competitive strategy work. And I have never seen an OE executive do strategy work in her or his spare time at nights and on the weekends! “Innovation (and competitive strategy – my addition) is to be the tip of the spear taking us to places we do not want to go”. Even though there is hyperbole in this statement, ponder this quote for a bit. The OE group typically does not want to take a firm where it does not want to go. This is too disruptive to hard-fought efforts to get per unit costs where they need to be for profits and then eventually cash flow. In this context, I define competitive strategy and its stated and maybe written essence (called the strategic plan) as “the unique configuration of our activities, made exciting by our hard-to-copy resources, that produces torrents of new products and services for which customers will pay”. I realize this is a loaded definition. That is, if there are no New products and services, there is no competitive strategy. If there are no Torrents of new products and services, only perhaps a lone home run product or service, there is no competitive strategy. Don’t worry that some of the new products and services will not win in the marketplace. I think the probability is favorable that enough of them will win for firms who do good competitive strategy work – and good OE work. But this is my opinion based on experience and some useful academic research. You might hold the view though that nothing in today’s world can guarantee a favorable probability of success. That would be the topic of another article. Which group of people in a firm should be the “tip of the spear” group if you agree with my assertions in this article? For GE it was the marketing group. But that group can also be people from around the firm who take on the role of a “Growth Leadership Team”, or some other title for being the tip of the spear, even on a part-time basis. The payoff? Your firm being around for more than forty years. This article is part of a series on what causes a firm’s value to increase. 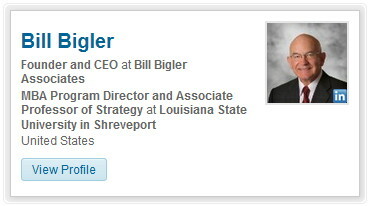 Dr. William Bigler is the founder and CEO of Bill Bigler Associates. He is a former Associate Professor of Strategy and the former MBA Program Director at Louisiana State University at Shreveport. He was the President of the Board of the Association for Strategic Planning in 2012 and served on the Board of Advisors for Nitro Security Inc. from 2003-2005. He is the author of the 2004 book “The New Science of Strategy Execution: How Established Firms Become Fast, Sleek Wealth Creators”. He has worked in the strategy departments of PricewaterhouseCoopers, the Hay Group, Ernst & Young and the Thomas Group. He can be reached at bill@billbigler.com or www.billbigler.com.